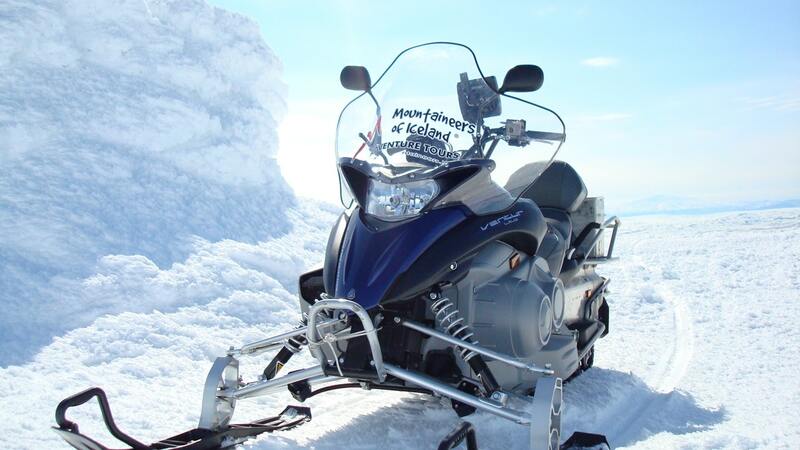 We operate snowmobile all year round every day of the week so we are always ready to take you on a tour if the weather-gods permit. Langjökull is about 1400 meters above sea level and expands over an area of 953km2. 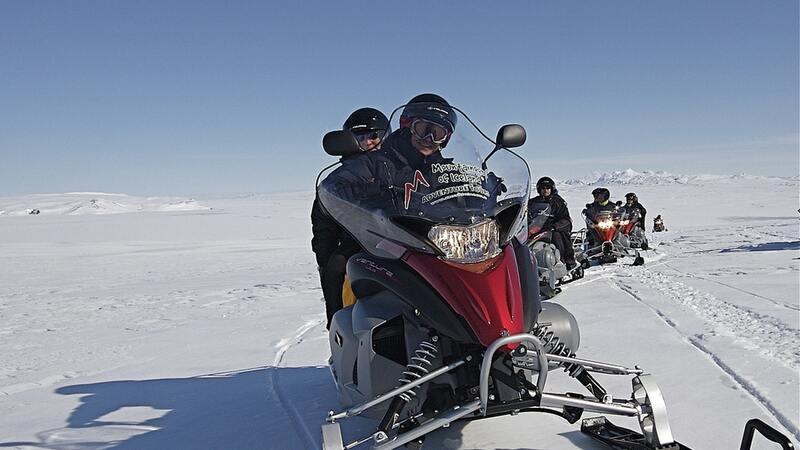 To be able to enjoy a snowmobile tour all year round this would be the place to do it. We start the tour by picking you up in Reykjavik at your accommodation or at one of the bus stops close to your hotel. 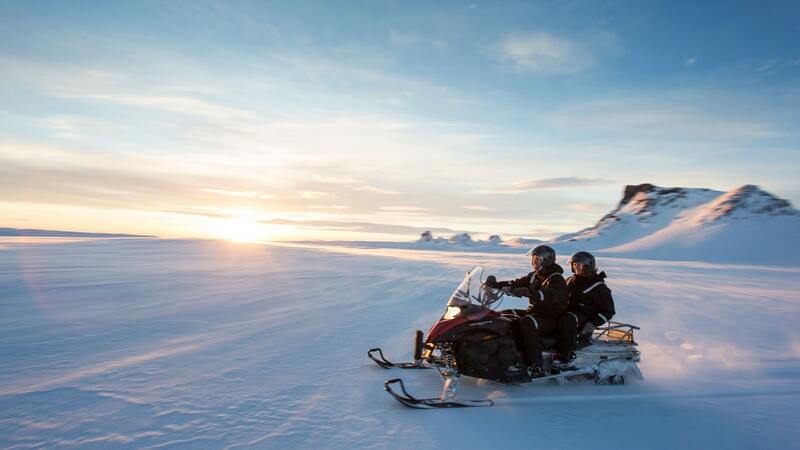 We continue to the area of Gullfoss about a 2 hour drive from Reykjavik we will do a quick stop there if needed, then we continue to our base camp where we suit up for the tour and get a lesson on how best to operate the snowmobiles on the glacier and go over some safety protocols. 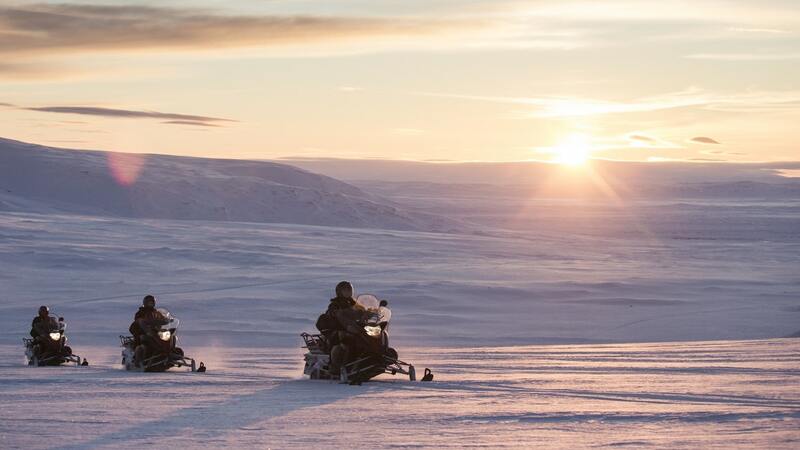 Then it is time to enjoy a full hour of snowmobile tour across the snowfields, the routes taken are not always the same it depends on the weather conditions each time. 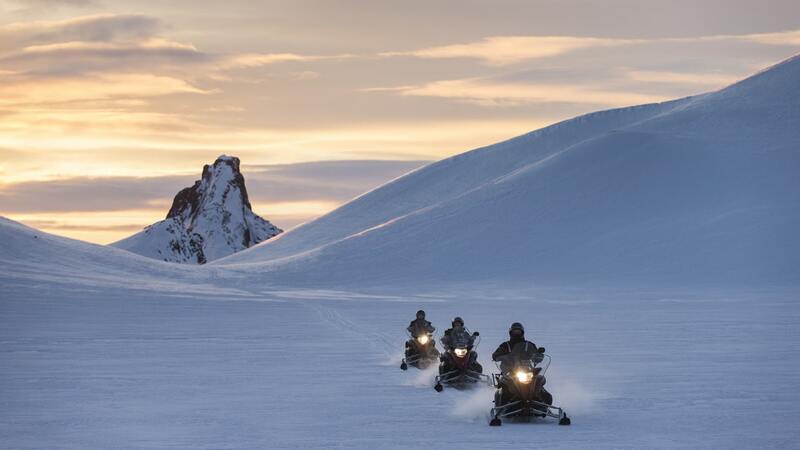 This tour is an excellent option for those who have already done the Golden Circle but don’t want to miss out on an unforgettable snowmobiling tour on Langjökull glacier. We recommend you have a good breakfast before your tour, we do stop on the way where you are able to buy some food if needed best to inform the driver. It’s a family friendly tour and children are more than welcome to ride as passengers as long as they have reached the age of six. Choices of roads and availability of activities are condition dependent. Location of snowmobiles is according to the snow conditions. Cancellation must be made 24 hours prior to departure. It is essential to be able to present a valid driver’s license in order to drive a snowmobile if asked. Price are per person and there will be 2 passengers per snowmobile. No shows are fully charged.